Greetings of the most high in this most auspicious moment of now, whereby spirit has decreed we come forth in this manner to deliver a message to you which is not of the usual ilk with which our transmissions have generally been brought forth… today we would like to talk openly with you about some essential aspects of what crop circles are, and how they have very much been sent forth to assist humanity in her inevitable collective ascension, that Gaia may take her rightful place within the vast interplanetary family kinship that has always been her destiny. Crop circles are templates/codes that herald in and upgrade old outdated Akashic templates which are stored in one's psychic field and humanities collective field… crop circles give new instructions to the soul psyche software to change shape frequency and patterning to deeply assist in the heralding in of those experiences upon the material plane. Our beloved channel has been informed that the latest crop circle which appeared in Wiltshire on 6 June 2016 signifies the heralding in of the unicorn GateWay which is set to infuse the earth plane and ALL her inhabitants with the gifts of magic, play, dance, synchronicity, cosmic adventure, and alignment with ones true self and God. The unicorn Gateway and its crop circle glyph is an extremely potent activation code that has been created to overwrite all hitherto old templates that have been stored within humanity's psychic field and within the planetary Akashic field. Those that are known as the dark cabal are well aware of this dispensation from mother Father God and are doing much to distort and interfere with this powerful gift from our overSoul. however this is not possible as this latest crop circle signifies that the old programs are in the process of being triumphantly overwritten by these latest templates and the cosmic arrival of the Unicorn GateWay which is highly attuned to what you may term paradise consciousness. The crop circle is a visual representation of the instruction which ensures the earthly plane and psychic consciousness to upgrade to this new patterning.. Crop circles could also be likened to Galactic cosmic spells much like how we construct and writeout spells on the earthly plane, crop circles are in fact codes that are inscribed by our collective overSoul which is also known as our higher christed self, and have been sent forth to profoundly assist humanity and her inevitable ascension…. Christ is a masculine and feminine term that represents the marriage of perfect balance of male and female dark and light (all duality in fact) within one's own psyche/self... it refers to one that is wedded to their highest self/ God consciousness. Please contact us for more information on this or to place an order for these tattoos...this service shall be coming soon. We are being encouraged to work consciously and holistically with the symbols that are coming through and have already come through which we have access to via the Internet and the faculty of printing….. having them tattooed is an extremely powerful way of working directly with the crop circle codes and personalising and anchoring the template in our energetic fields….crop circle images are ascension tools of the highest order and come very much from the fifth dimensional realms of consciousness, they are a combination of our higher Christed self’s message and mission. We have only touched very very lightly on the subject of crop circles here, and more shall be revealed shortly…..
We would like to inform you that our beloved channel has been instructed to bring forth regular webinars to share these insights as and when they come through…. The webinars will deal with all manner of Ascension tools, we will look at what does Ascension look like for us personally and what does it look like collectively as we all ascend together and experience kundalini awakening (also known as the obliteration of the veil between the third and the higher dimensional fields of consciousness)…. we will explore the zero point field, what it is and how to access it…. we will be sharing potent manifestation tools and discussing the subtle difference between the law of attraction and the law of attunement. We will talk about the significance of cosmic gateways as and when they arise, and the webinars will be an opportunity to join an online community of Ascension Pioneers trailblazing and supporting each other towards our inevitable collective ascension. The webinars will also be a space for twin flames to come together and talk about the issues that are affecting all of us collectively as we evolve. Together we can regularly start having the fifth dimensional conversation that we are all so thirsty to have. the webinars will be put out live but there will also be opportunities for them to be played back and all comments and questions will be acknowledged and implemented via the ongoing webinars. I am so looking forward to being with you all in this way and I so look forward to welcoming you on this webinar journey with me together we shall soar together we shall ascend…... please know We will be cocreating an ascension group in the purest definition of what that actually means. With Regards to the recent energetic portal that twin flames are moving through, many will be noticing a monumental upgrade in their crown Chakras… many are reporting itchy scalp tingling scalp, hair loss,and burning sensations on scalp………..these sensations are symbolic of a great clearing that is currently taking place en masse particularly in the first wave ascension wayshowers…. A further dispensation has been decreed ushering in a vastly upgraded connexion to the akashic fields….. The symptoms are very simply the ancestral lineage blockages that are being cleared away during these times…. Relax deeply beloveds all is well, soon this gateway will be firmly established and the myriad symptoms and discomfort many of you are currently experiencing shall pass… the key is for you to trust deeply in your bodies ancient soul wisdom, and know deeply that your higher self is impeccably guiding you to ever higher and finer vibrations….. Many twin flames are experiencIng a period of physical separation at the moment whilst these new energies are settling into your field, although there are a number of twins who are riding these potent cosmic waves very much back into others lives…. Wherever you are at with your twin flame at the moment, your main task is to trust deeply in the process as it enfolds for you personally.. It is also highly recommended that you reach out to other twin flames during these times of monumental gamma upgrades, as only genuine twin flames hold the consciousness keys to be able to stand under and hold a space for the vast changes that are taking place for many now on a vibrational level… even the most enlightened of souls have blind spots, and here it is appropriate to reach out for support that is aligned with your soul frequency signature, you will find that this will help enormously during these times…. Please know our love and support is with you from the higher realms, we are so proud of you and in awe of the clarity and pristine frequencies many of you are aligning with right now….. Lean on each other for support, we cannot stress the importance of this enough…. Greetings of the most high in this most auspicious upgraded timeline of now. As you may be aware, and as we stated in our last article, this particular timeline is, and will be known as the Unicorn GateWay and we have come to assure you that this gateway has well and truly arrived. What is the Unicorn GateWay? It is many many things, it heralds in and is deeply supporting the energy and actuality of play, adventure, synchronicity, dance, music, and nature…….but more pertinently it heralds in the conscious recognition and awakening to the knowing that it is only by choosing to be the most grateful and blessed and aligned version of yourself that true peace within and without can ever come to pass. The summer solstice portal has activated within the earthly plane a profound photonic light upgrade, and this is flooding gaia now. 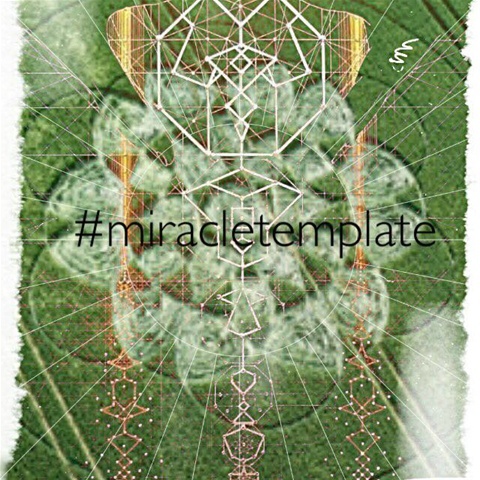 Great great news we bring to you today, and that is with regards to the crop circle that appeared on the 22nd June in Wiltshire UK which denotes the ushering in of what could be correctly termed the miracle template. this glyph is very much linked to the arrival and anchoring in of the Unicorn GateWay, and this encrypted code brings with it extremely high blessings which have been ordained to overwrite very old patternings wherever this particular glyph is used, and has been sent forth, to bring about the vibrational alignment with that which may be known as the miraculous. The secret and sacred knowledge we wish to share with you today is that you all are infact individually the embodiment of the Unicorn GateWay,and therefore it is your responsibility to remember to show up to existence in a state of all pervading gratitude, and no longer in lack consciousness. It is all of our individual and collective duty to remember that the greatest power we all have is the power of choice….. to choose which frequency band we wish to tune into. 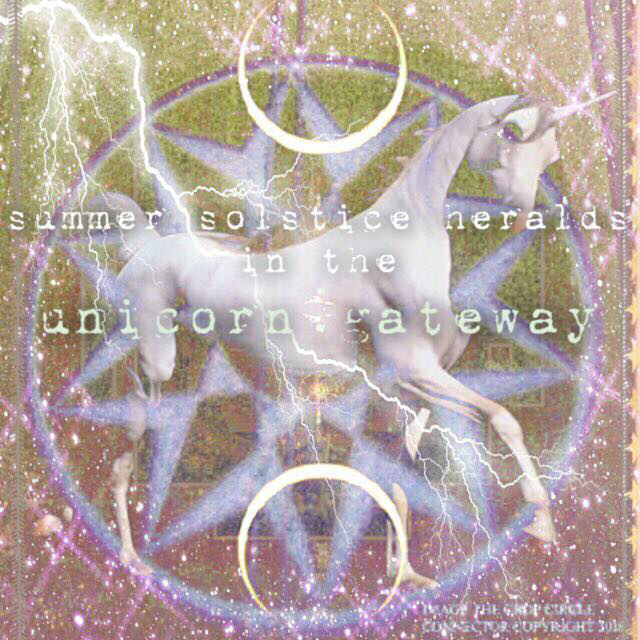 We are now in a time where the stars are aligning in their predestined configurations to bring the legacy of the age of Aquarius into reality for that is what the unicorn GateWay heralds. the codes of 5D consciousness/ the age of Aquarius .... And the prophecy of the golden age. The golden age exists not somewhere in the future, it is in the place where it has always been the here and now and eternally available to be chosen and tuned into by each individual and by the collective consciousness and there is nothing more truer than that. 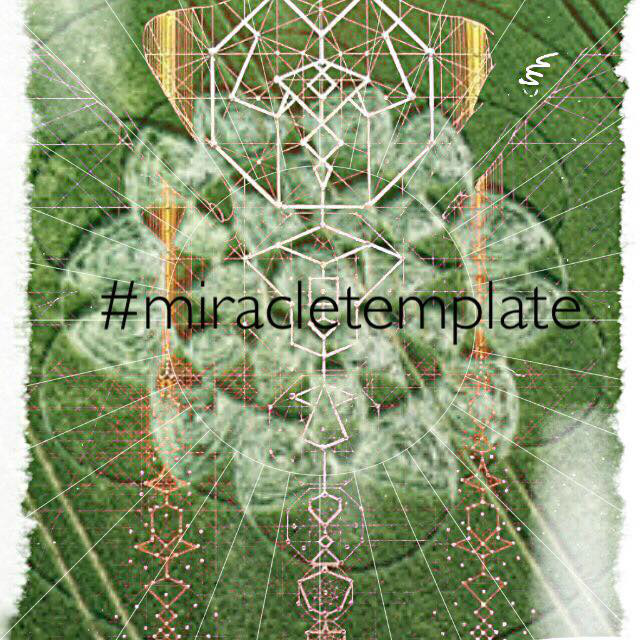 Beloveds...miracle consciousness is the order of the day now, and we are advised to use this recent crop circle glyph to imprint upon our chakras especially the ones in our hands and feet to receive these miraculous codes into our energetic body. In order to bring these activations and upgrades into our cellular memory banks that they may settle with these new instructions. It is appropriate here for us to remind you that the twin flame template has arrived and has anchored safely upon humanity's shores and the mission now is for twin flames to en masse stop complaining and make a 100% commitment to show up as the god/ goddess who have been given the power to choose the frequency band she wishes to tune into. life is exactly what you say it is, whether you are experiencing your life as full or empty, it is your choice. So we remind you to remember to keep choosing to be tuned into all the blessings large and small that existence brings to you in each and every moment. There is truly always so much to be grateful for, we are all blessed beyond measure just as the sun eternally radiates her light, the frequency of our Higher Christed consciousness self radiates out to us forever singing I am always here... I am a frequency choice away....choose me....let me soothe you..... for the truth always soothes…….